The rostral column at the entrance to Vladivostok. In September, Vladivostok will host the second Eastern Economic Forum (EEF), which aims to showcase the Russian Far East as an attractive investment destination. In an interview with RBTH, Ivan Zuenko, an expert of the Center for Asia Pacific Studies at the Far Eastern Branch of the Russian Academy of Sciences, spoke about how Russia-China economic relations are developing and what Moscow needs to do to attract Chinese investment to its Far Eastern regions. One of the main themes of the second EEF will be the promotion of the territories of accelerated development (TADs) and the Vladivostok free port (VFP). These projects have been launched recently and have yet to become fully operational. What kind of conditions and incentives are being offered to foreign investors? The territories of accelerated development and the Vladivostok free port were not created exclusively for foreign investment. So the same conditions apply for Russian and non-Russian companies. The Far East in its current state is not very attractive for foreign capital. The attractiveness will increase when there are new roads, production facilities, a more urban environment, and when the local population have less itchy feet. I am inclined to believe that the government's actions should be directed, first of all, at this, rather than at attracting foreign investment as an end in itself. 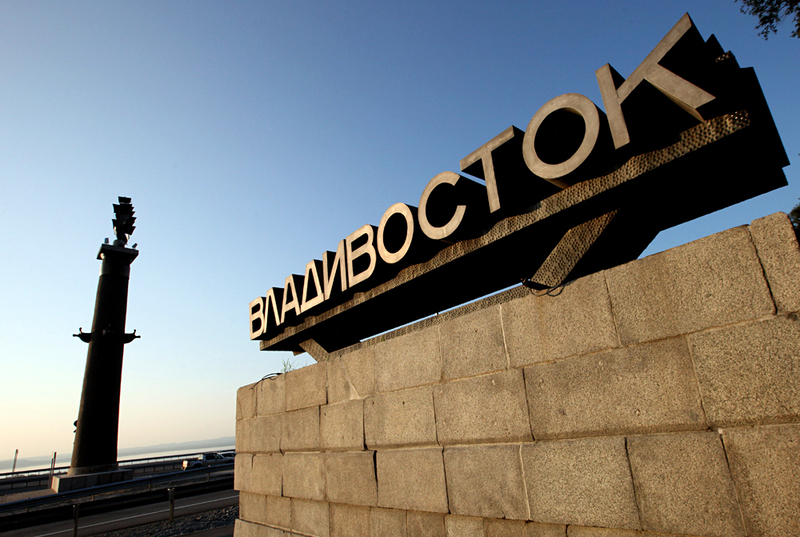 The Vladivostok free port, by design, should give foreigners the right to an eight-day visa-free entry. Has this been implemented yet? How will it be handled? This regime has existed de jure since Jan. 1, 2016, however, de facto, it has not. So far, it is not clear how this would work, even technically. First of all, Russia does not plan to offer visa-free entry, but a visa under a simplified procedure. The visa should be applied for in advance. There should either be a website where you can make an application for a visa and get the answer immediately, or a system where a visa could be obtained on arrival. But it is now not clear who issues these visas, where and how. Secondly, even with a perfectly functioning administrative apparatus, the development of a facilitated visa regime takes time and requires coherence among government agencies. So far, to my knowledge, the control structures that are related to visas and borders (border guards, immigration services and customs) have yet to agree on the procedure. What kind of business opportunities do Chinese investors see in the Russian Far East now? The exploitation of natural resources is the most attractive area for foreign investors, but Chinese investors have so far enjoyed the most success in the agriculture, construction and service industries. There are no Chinese plants in the Russian Far East since there are no Chinese companies with a worldwide reputation. During talks, the Chinese, as a rule, are liberal when it comes to promises, but do not rush to implement them. This is a problem, as Russian officials often start to believe these promises, and then become disappointed. Therefore, I'm not in a hurry to comment on the recent news about the construction of a Chinese bus-assembly plant in Artyom (near Vladivostok). The project has not been finalized yet. But there are Chinese companies in the Russian Far East. Where do they sell their products? As a rule, all the products of such companies go to the Russian market. One of the few relatively successful cases is a Chinese production facility in Ussuriysk, where they assemble shoes from pre-manufactured parts and make cardboard boxes. Clearly, it makes no sense to sell such products in China. The same basically applies to agricultural products. Transportation across the border, given the logistics and customs, is a troublesome thing. If there is an opportunity to sell products in the local market, what's the point of not using it? Especially because the products of interest to the Chinese are, as a rule, made outside the Far East. Are Russian products being sold across the border? A trend to increase volumes began with the fall of the Russian ruble against the yuan. In China, all of a sudden everything became twice as expensive for Russians, and things became twice as cheap for Chinese in Russia. This has led to a situation when many traders who had previously been engaged in the supply of Chinese consumer goods to Russia found themselves out of business, and had to quickly refocus in the opposite direction. Moreover, the methods remain the same. A considerable part of Russian exports goes through ‘camels’ – this is when ‘tourists’ transport up to 50 kg of commercial cargo at a time under the guise of goods for personal consumption. Previously, they went to China empty-handed, and returned from there with big bags. Now they travel with big bags in both directions. It is widespread in the border area. Sometimes there is simply no other work available. In addition, Chinese tourists are now massively buying up everything they can: chocolate, flour, gold. How serious is it? It will be serious when such a demand results in new production facilities. Perhaps this is within our grasp. Do the Chinese really think that Russian products are eco-friendly? Yes, they do. According to the beliefs of Chinese, the Russian economy is in ruins. Therefore, all is well with the environment in Russia. Compared to China, it is, of course, true. In addition, in China, they always prefer imported goods. Now, the population has money, so they want to try something new. In the border cities, they already know Russian brands, and I myself was in situations where I ordered a local beer in a Chinese restaurant, and the Chinese themselves went for the Russian one, despite the fact that it was ten times more expensive. What does the Russian Far East offer China? What do you think needs to do be done to realize this potential? On the one hand, there are objective shortcomings of the region. It is sparsely populated, the local market is too small, and it is expensive to transport products to other regions. On the other hand, the cheap ruble has created good market conditions for establishing export production facilities. There should not be excessive expectations, but the potential is there. Prospects are good for agriculture, aquaculture and the food industry. High-tech businesses, such as those operating servers and data centers, have the right prerequisites for success such as a minimum number of employees, cold climate and cheap electricity. Vladivostok with its rather attractive urban environment and its proximity to the Asia-Pacific region is an ideal starting point for start-ups. The development of this area only needs administrative support and venture capital investments. Perhaps the booming Chinese innovative businesses could help. The first casino in the region opened near Vladivostok and the demand from Chinese tourists is already being felt. Also, there is a wonderful nature. You can develop eco-tourism, but it is necessary to build infrastructure, since tourists need somewhere to live and something to eat. You need to speak their language, and you need to smile at them. They need to get a bare minimum level of service. So far, there are problems with all of this. This does not mean that nothing changes. Things do change. And in general, we are moving in the right direction.